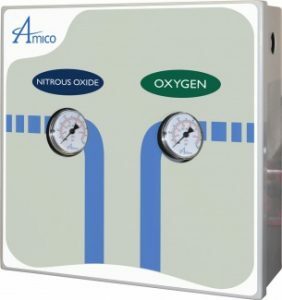 This analgesic device measures and controls the flow rates of Nitrous Oxide and Oxygen. 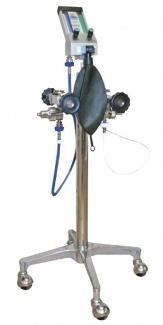 The Dental Gas Mixer provides separate controls in order to regulate the flow rate and mixture percentage of each gas. 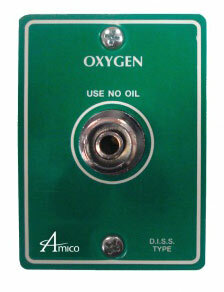 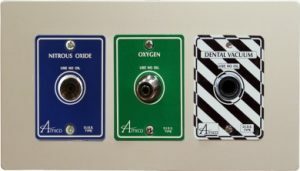 An Oxygen flush button determines a rapid flow into the breathing circuit. 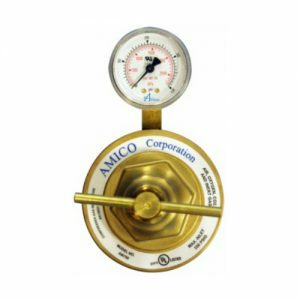 This device includes industry conformed D.I.S.S. 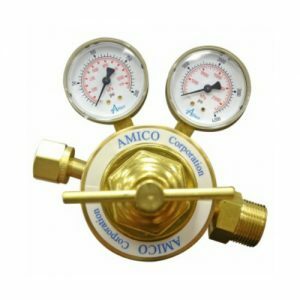 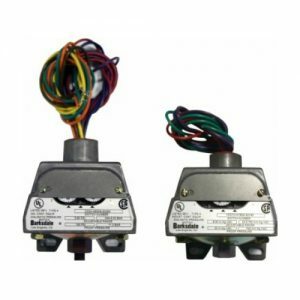 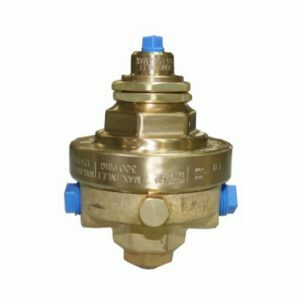 gas connections and a fail-safe test option. 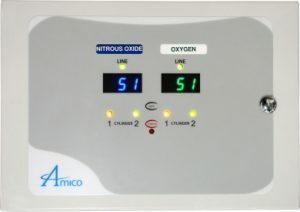 This test immediately reduces the flow of Nitrous Oxide should the Oxygen supply be interrupted. The automatic air-intake valve provides air into the breathing circuit in the event that flow from the machine is lost.